Use Photo blender android app to mix photos with beautiful backgrounds. Photo Studio is mix app, which helps you create fantastic photo collages. Use easy photo editor - Photo Studio - to edit photos for instagram. Photo Studio has own text editor. With professional photo text editor you can write on pictures whatever you want. You can use different types of fonts, text styles, colours, backgrounds and etc to add text to images. Text on pics makes your photos more exspression and emotional. You can add your feelings to any image or your own pic. 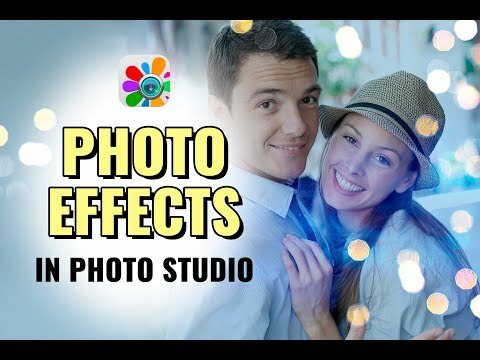 Photo Studio has wide variety of photo filters and photo effects. There are dozens of filters for pictures. Photo Studio is photo effects app with effects for pictures. It's the best photo editor for android where you can change photo in couple clicks. Photo Studio is photo editor, where you can combine photo effects and photo filters. Use Photo Manipulations to edit photos for instagram. Photo Studio is the best photo editing app for android. Play with different photo light effects to make awesome pics.